Halloween just came to an end but if you're like us who enjoy a good horror-thriller, Class of 2018 should be on your must-watch list. Co-written and directed by Charliebebs Gohetia, the film follows Section Zamora, a group of student underachievers who find themselves trapped in one area where they have to fight off their fellow classmates infected by a mysterious virus. Committed to making productions that matter, T-Rex Entertainment has produced award-winning and top-grossing films in the entertainment industry. You can only expect great things in Class of 2018, as seen in their past films – Deadma Walking, Patay Na si Hesus and Bakwit Boys, just to name a few. Primarily an award-winning editor, Charliebebs Gohetia has gained praises for his directorial work for Thank You Girls (2008) and Natural Phenomenon of Madness (2011). 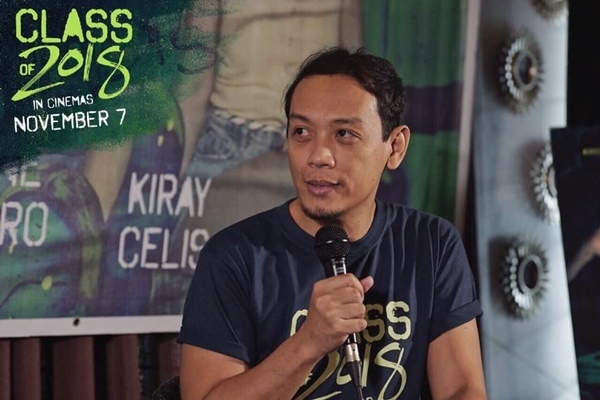 He also won the Cine Totoo Philippine International Documentary Film Festival for his film in 2014 entitled Kung Giunsa Pagbuhat ang Binisayang Chopsuey (How to Make a Visayan Chopsuey) and his latest film entitled I Love You. Thank You. in 2015 earned a Star Award nomination. Class of 2018 is headlined by former mainstays of the popular comedy show of ABS-CBN, Goin' Bulilit – Sharlene San Pedro, Nash Aguas, Kristel Fulgar, CJ Navato and Kiray Celis. In a press conference, they shared that working together again was fun and easy since they grew up together and have the same work ethics. Director Charliebebs says that the actors' experience plus rapport made the movie even better. It tells the story of how people with different personalities have to work together to survive. Ada is a loner who gets bullied all the time, RJ is a cool kid who is part of the popular rich boy posse, Migs is a geek obsessed with conspiracy theories, Princess is a reformed mean girl who is trying to befriend everyone and Venus is the school's queen bee leading a popular clique. They all team up in order for them to survive, even if it means that they have to fight off their classmates who have contracted a mysterious virus. 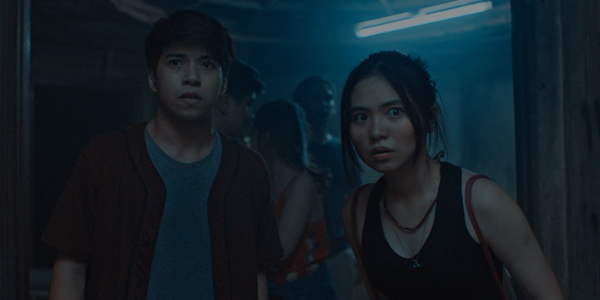 A first in Philippine cinema, Class of 2018 is a horror-thriller film with a splash of romantic comedy as what is being looked forward to by NashLene (Sharlene San Pedro and Nash Aguas) fans. 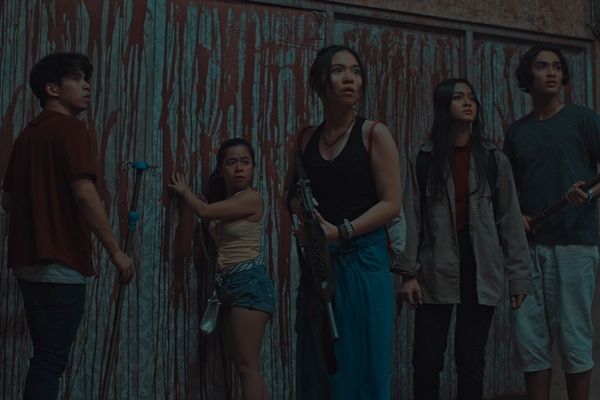 The film is dark, gruesome and has a good number of action scenes and Sharlene, being the heroine, did most of the fighting scenes on her own. 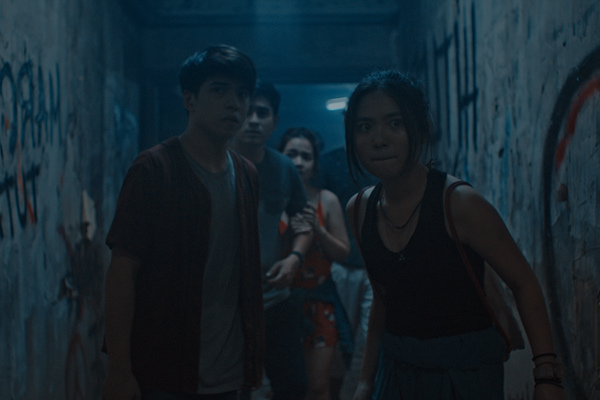 In an interview, NashLene even teases that you haven't seen this kind of plot in any local film which is the main reason why they wanted the role! Curious on how they will fight for survival? Catch Class of 2018 in cinemas nationwide, check the full list of screening schedules here. Follow T-Rex Entertainment on Facebook, Instagram and Twitter for exclusive updates on the movie.